Sun exposure can “bleach” or “burn out” the color of some horses’ coats. This is mostly true for black, dark brown and dark bay coats, but it can happen to coats of all colors. The most commonly affected areas are the saddle area and around the face, which is where sweat tends to accumulate. Although coat fading isn’t really a health problem, you do want your horse to look and feel his best. Sunburns occur most often on horses with light-colored coats, such as grays, Appaloosas, Paints and pintos, and on horses with bald faces or a white blaze or stripe. Without protection, sun exposure to these areas can lead to sunburn, just like you may have experienced – the skin turns red, may blister or peel and is sensitive to the touch. This usually occurs on the muzzle and possibly around the eyes. Albino and cremello horses can sunburn on other areas as well. Preventing sunburn is not only important for your horse’s comfort, but also for preventing future health issues. Putting fly masks or fly sheets on horses with a sunburn can turn into a painful and negative experience. The greatest concern regarding sun exposure is photosensitization, which is a condition that causes skin sensitivity to ultraviolet (UV) rays. Any area of skin with low pigmentation may be affected, including white markings on your horse’s legs. Affected areas tend to be sharply defined and show signs of classic sunburn. Photosensitization can occur in different ways. Primary photosensitization often results from a horse ingesting “photodynamic pigments.” These pigments move to the skin, which is where sunlight activates oxidative injury. Some plants can have this effect, such as St. John’s wort and buckwheat. Some antibiotics, tranquilizers and other medications are also known to cause photosensitization in people, horses and other animals. 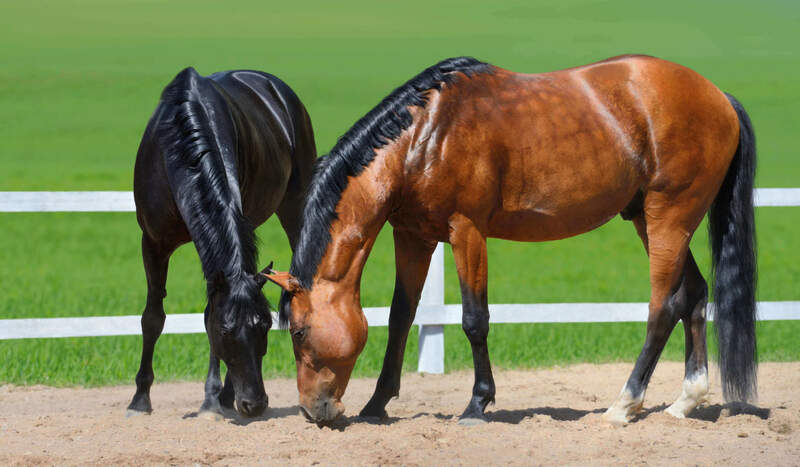 Secondary photosensitization, the most common form seen in horses, is the result of liver damage that causes a build-up of photosensitive toxins in the blood. Certain plants can cause liver damage, such as alsike clover, fiddleneck and common heliotrope. If you notice any indication of photosensitization damage on your horse, consult your veterinarian, as she may need to do bloodwork to evaluate your horse’s liver. Although you can’t keep your horse stalled 24/7, there are a few things that you can do to help minimize the chances of your horse getting sun-bleached and sunburned. Time management is a key component to keeping your horse safe from sun injuries. Start by regulating the time your lightly pigmented horse is out in the bright sunlight. Plan your horse’s outdoor hours so that they coincide with times of less sun exposure, such as early morning, evening or even overnight. Make sure that there are shaded areas in the turnouts, so that your horse can take breaks from the sun. 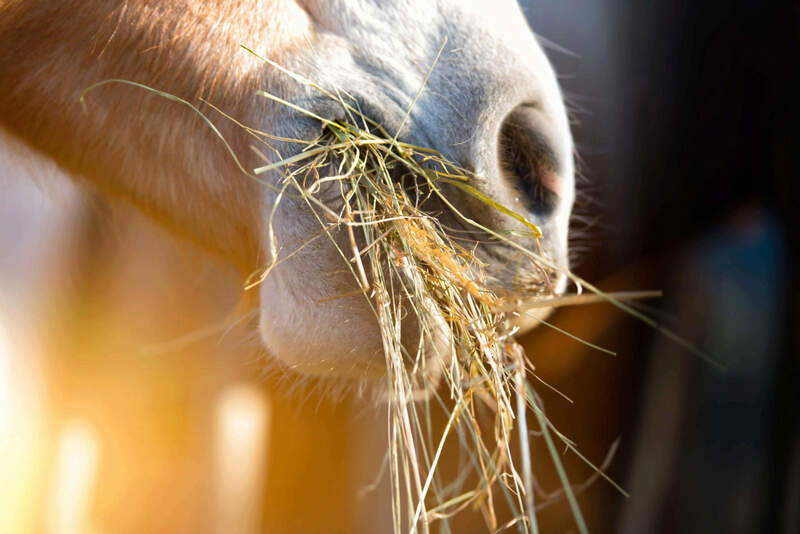 Check your pastures for any plants that can cause photosensitization and remove or at least fence the plants off from equine access. Apply sunscreen to the muzzle and any white markings on your horse. Use a high-SPF sunscreen and remember that it requires fairly frequent reapplication for complete coverage. Products containing zinc often hold up the best; think of the zinc oxide that lifeguards use. Don’t be stingy—put on a thick layer. This will help when your horse grazes in the dew-covered grass or dunks his muzzle in the drinking trough. Consider using fly sprays and/or coat conditioners that include UV protectants, and apply regularly. If you can’t manage your horse’s time in the sun and you have limited shade in your turnout areas, consider using fly sheets and face masks for additional protection. If your horse gets mild sunburn on his muzzle or face, apply a soothing ointment such as aloe. Then put a heavy coating of sunscreen over that to minimize further injury. Make sure your horse has access to plenty of fresh, clean water; hydration helps heal damaged skin. If the symptoms are severe or don’t resolve, consult your veterinarian. Remember that prevention is the best and healthiest way to manage sun damage. Vitamin D is important for your horse’s overall health; he needs the sunlight, but just make sure it’s the right amount!